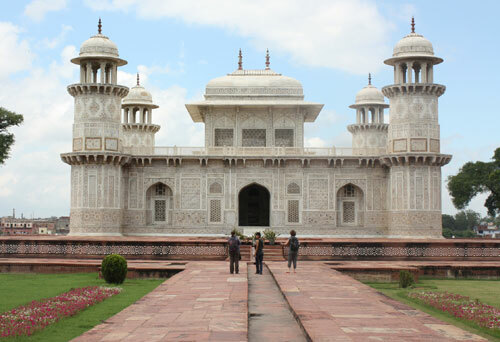 Experience three of Agra's top monuments during a private tour leaving from the city train station. Experience the wonders of India’s Mughal Empire including the iconic Taj Mahal during this 10-hour private tour from Agra’s Cantonment Railway Station. Check out three UNESCO World Heritage sites, including the Taj Mahal, Agra Fort, and Fatehpur Sikri ‘ghost town.’ Time permitting, you’ll also shop for souvenirs from Agra’s amazing handicraft artisans. Round-trip hotel transport aboard an air-conditioned vehicle is also included. Taj Mahal Tour by Train: Explore 1-Day Taj Mahal & Agra Tour from Delhi by Express Train to Visit Taj Mahal , Agra Fort and Fatehur Sikri in Same Day Trip to Agra. 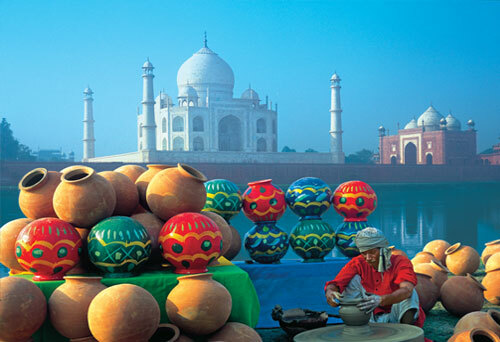 Taj Mahal Tour by Train is an amazing Private Guided tour of Taj Mahal. Government approved guide is provided during same day Taj Mahal train tour package. Guides for other languages like French, Spanish, and Italian, Russian etc are also available. Train for Delhi to Agra -12050 Gatimaan Express ,arriving at Agra Cantt Station (AGC) on platform no. 6 at 09:00 AM. Breakfast will be served in the train. Train for Agra to Delhi -12049 Gatimaan Express, arriving at Nizamuddin Railway Station (NZM) on platform no. 5 at 07: 30 PM. Dinner will be served in the train. Explore the impressive walled exteriors and inner paradise of the Red Fort. Sightseeing by car in the Agra city. Entrance Tickets of all Monuments. You’ll be picked up at your hotel in Delhi/Noida/Gurgaon/Faridabad/Ghaziabad at 05:00 by air conditioned car for the transfer to the New Delhi railway station. Depart from the New Delhi railway station for Agra. Driver will show you the seat. Enjoy the speedy, fully air conditioned express train with breakfast on board. Meet your private guide and driver at the Agra Cantt railway station, looking for the sign (placard) with your name at exit. Begin your private tour in an air conditioned car, accompanied by your guide, and visit the Taj Mahal. The Taj Mahal was built in the 17th century by Mughal Emperor Shah Jahan as a memorial for his beloved wife Mumtaz. 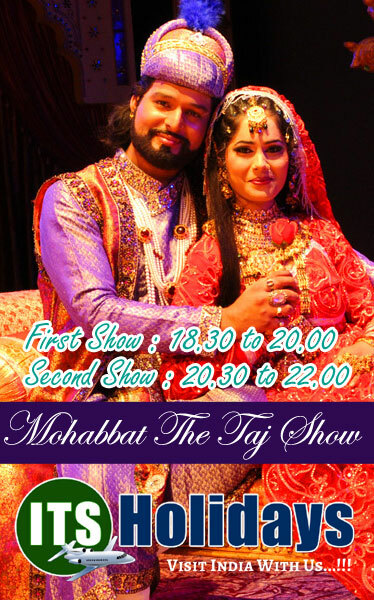 After touring the Taj Mahal you’ll head to the nearby Agra Fort. Agra Fort was built in 1565 A.D. and it is another majestic creation of the Mughal Emperor Akbar. Enjoy a lunch break at an air conditioned multi-cuisine restaurant. Later, you’ll be transferred to the Agra Cantt railway station for the return journey to New Delhi. Dinner will be served on the train. A driver will pick you up at the New Delhi railway station for the transfer back to your accommodation. Fill this from and provide maximum information.